“For a rapidly growing metropolis like Moscow, the concept of a Smart City is becoming a necessity. 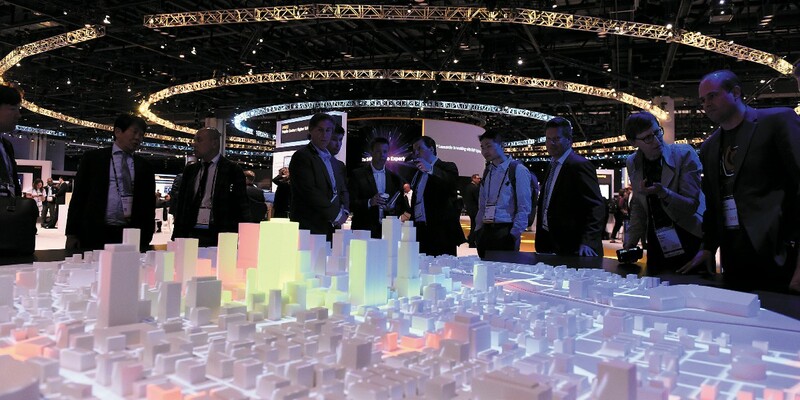 Considering their incredibly complicated infrastructure, managing giant cities like these with traditional approaches is extremely difficult, if not altogether impossible,” said Dmitry Shepelyavy, Deputy CEO of SAP CIS, in an interview with Capital Ideas. A total of 18 Russian cities are taking part in the Smart City project. What are the criteria that cities need to meet in order to be considered a Smart City? There are actually more cities like this in Russia. Today, this is more than just a trendy word, but reflects an objective need for a new kind of organization of city life. Of course it’s prestigious to be considered a smart city and all cities try to acquire this status, though everybody has a slightly different understanding of what it means. 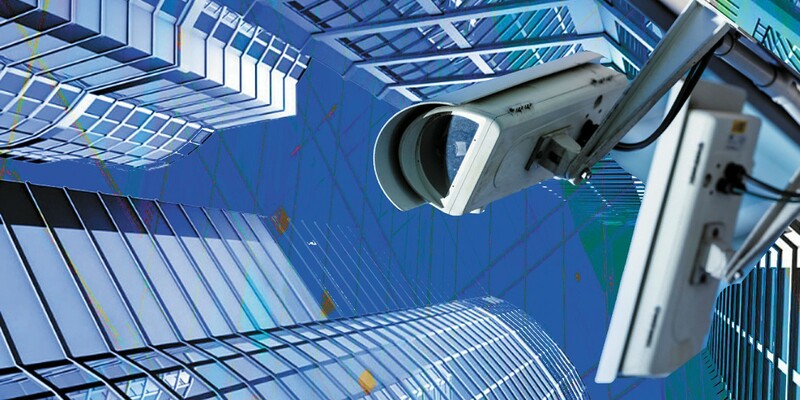 In my opinion, the main thing that sets a smart city apart from a regular city is the ability to use data that we collect from video cameras, sensors, terminals, personal devices, statistical and financial reports, and other databases. In some cases, these data are analyzed and then used to make adjustments or to develop municipal programs. In other cases – and this is what a smart city is – decisions are made automatically based on these data. Take road traffic management, for example. A smart city is when traffic light intervals self-adjust depending on the intensity of traffic flows. If road cameras simply record the number of cars that drive by, and then auto inspection employees use this information to manually reset traffic light intervals, this is not a smart city. Or take the healthcare industry. We’re already used to the fact that all information about a patient – their medical checkups, bloodwork results, and diagnostics – are compiled into their medical history in an electronic format that can be pulled up on the screen. This is par for the course. But suppose that these same data, plus information from the wristband you’re wearing, are used to detect changes that increase your risk of getting sick. And the system generates a recommendation that you need to visit a doctor, simultaneously signing you up for the next available appointment. A system like this is more like a smart city system. So in short, a Smart City is a city that is managed with data. That is, a city in which the whole infrastructure is guided by data processing and analysis. Ideally, this is not about separate projects created to resolve specific problems, but a single comprehensive platform. For a rapidly growing metropolis like Moscow, the concept of a Smart City is becoming a necessity. Considering their incredibly complicated infrastructure, managing giants like these with traditional approaches is extremely difficult, if not altogether impossible. This is why what’s happening right now is a rapid adoption of smart technologies and systems that help the authorities do their job, allowing them to cut costs and save city budget funds while creating a more comfortable and safe environment for city residents. Which big cities in the world are currently considered the “smartest”? And where does Moscow rank in all of this? There are a lot of ratings like this, since there are many different definitions of what exactly a smart city is. Singapore probably comes up most often, along with London, New York, San Francisco, and Seoul. I would also add major Chinese cities, especially Shanghai. There, you can feel it with every step you take. In spite of the fact that there are millions of residents and a ton of cars on the road, transportation works really well: there are very few traffic jams, and the metro system, along with other transportation systems, are logistically well-executed. Among Russian cities, Moscow certainly comes in first. It’s also doing pretty well by global standards. I get to travel a lot around foreign countries, including the capitals of Europe, Asia, and America. In terms of comfort, Moscow is on par with the leading cities. And this is more than just a feeling – it’s backed by the data. Technically speaking, the Russian capital has not made it into the top twenty yet, but the outlook is very optimistic in this sense, in many ways thanks to the government’s interest in implementing relevant programs. In terms of technical preparation, Moscow is very much ready for the introduction of smart city functions. Today, key areas of focus are geared toward working with the general public, ensuring safety, optimizing road traffic, and automating healthcare. Muscovites regularly use the United Medical Information and Analytical System of Moscow (EMIAS), which can definitely be considered one of the most convenient and easy-to-use systems in this sphere. The Moscow video surveillance system, which encompasses over 137,000 video cameras, is one of the most technologically-advanced and extensive video surveillance systems in the world. There have been many test cases, and now the solutions that have been tested and proven to be effective in Moscow can be scaled to help with the digital development of other cities and regions. How long would it take for a complete digital transformation of the city to take place? It would not be correct to imagine this process as a program that has pre-set goals, deadlines, and stages. Transforming a regular city into a digital one in many ways depends on real demands. If a problem that isn’t possible to resolve with standard methods comes up, you have to look for something different. The more pressing the challenge, the more quickly innovative technologies intended to address it get introduced. For Moscow, traffic management issues are critical. And because this is a priority, a number of projects based on digital technologies have been successfully implemented over the past few years: smart traffic lights, temperature sensors, and a video recognition system in the metro. The process of engaging with citizens is another priority for the Mayor and the Moscow government. Today, residents regularly use the Moscow government portal to get relevant information and place their own inquiries. The “Active Citizen” and “Our City” systems are up and running, along with a crowdsourcing platform. A lot of city residents are involved in infrastructure development and improvements to the city, and this helps make city management more transparent and oriented toward the people who live here. The use of various services to fill out documents, file tax forms, and pay bills has become common practice. It’s worth paying attention to digital innovations in the sphere of public services, like the system for remote monitoring of water networks, which helps eliminate accidents and prevent water losses due to leaks. Street cleaning machinery also has smart sensors. Now, the time and location for each machine are tracked in real time, which means streets have become cleaner while spending has gone down. Other sensors installed on the roads track weather conditions, precipitation levels, and other parameters that help authorities respond to emergency situations in a timely manner. The digital economy is a field in which there is a constant influx of new technologies and possibilities that were previously unavailable. So I would say that the digital transformation has a beginning, but definitely not an end. But one sign that we’re already living in a digital space is the use of new functions at the level of each individual person, thanks to which they will be fully immersed in the process of city management and decision-making based on all information targeted at a particular individual. The important thing is that all the data that is being collected about us anyway is being used in a way that benefits us, that the system works in our favor, offering up the best way to organize life in Moscow. Then, the smart city will be built. 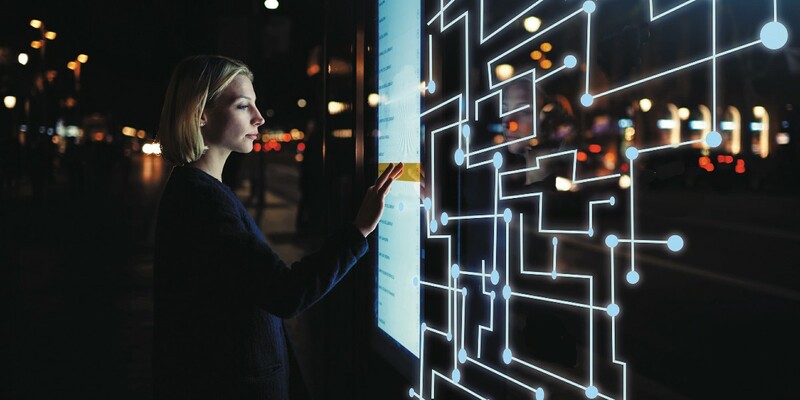 Let’s imagine a foreign businessman, tourist, or a football fan (which is particularly relevant right now): what services can this person connect to in order to take full advantages of the city’s digital benefits? Any foreign guest will feel totally comfortable in Moscow. The interactive guide Discover Moscow, which was created specifically for tourists, along with the Discover Moscow website (over 1.25 million visitors) and mobile app (over 400,000 downloads) will definitely help in this regard. Of course, there are cities in the works with more extensive digital services. For example, Barcelona has an interactive map for tourists. Aside from providing visitors with information about the city’s main attractions, it helps select the best routes depending on your personal interests and preferences, taking into account traffic, the best hours to visit museums, and so on. So it helps people avoid wasting their time and other inconveniences. Nothing is preventing Moscow from introducing a similar system, and we’re ready to take part in creating it. In terms of the main event of the summer, the World Cup, I would consider the Smart Stadium solution developed by SAP. This new digital system, which controls the entire infrastructure of a facility in real time, has already been implemented at the Allianz Arena in Munich and has a significant effect that makes the lives of football fans easier. Anybody who downloads the app can get a ton of helpful information: monitor parking availability, congestion at entrances and exits, match schedules, food court locations, and souvenir shops. At the last SAP CIS forum that took place in April, it was announced that your company will be taking an active part in the Russian “Digital Economy” program. You’ve outlined four key tasks for SAP. What are they? Russia is currently going through a strategically important stage. The upcoming transition from an economy based on raw materials to a digital one will allow us to successfully compete on the global market. To make this process move along even faster, it’s important to strengthen cooperation between the state, business, and the expert community. SAP has been operating in Russia for over 26 years, and throughout this whole time we’ve been going through different development stages along with the whole country, and we share our experience. We’ve outlined a total of 4 important tasks for ourselves within the scope of the national “Digital Economy” program. The first one is developing competencies in the sphere of digital technology. SAP is actively investing in this sphere. Over the past few years, our company’s expenses for educational programs have amounted to over 5 million euros a year. In 2017, we opened six Next-Gen Labs based out of major Russian universities. In a year, over 15,000 Russian students have taken part in SAP’s educational programs and courses on new technologies. After completing training, all of them will be able to work with the modern methods and technologies of the digital economy. In the future, we intend to increase investments in the development of the University Alliance, the establishment of educations programs, and work with startups. The second task is supporting industries that are part of the digital economy. We are focused on new formats of cooperation with our clients, co-innovations, and the establishment of joint innovation laboratories. Last year, we established two innovation labs with clients. These co-innovation centers have yielded at least 40 scenarios for Internet of Things (IoT), Blockchain, and Machine Learning, along with another 24 for Big Data. We’ve agreed to introduce the best Industry 4.0 practices in Russia, and expect this to be an important tool in improving the efficiency of the Russian economy. Third, there is the development of a component base, including the establishment and integration of smart sensors. SAP has launched a program for the certification of devices for IoT that have been developed by companies from Russia and the CIS. Equipment manufacturers that pass the SAP certification process will have advantages in terms of promoting their IoT products to our company clients on local and global market. Finally, we are ready to support the development of Russian products and their exits to global markets. The current IT market is such that you can’t get far if you’re confined by your country’s borders, no matter how good your technology might be. As a global company, SAP can help. We have experience with introducing Russian products to the global market. I’d also like to add that we work with many representatives at municipal and national levels. This experience is undoubtedly helpful for Moscow as well. In October of last year, an SAP cloud platform was introduced at a local data processing center in Moscow. What does this mean for the city and for your company? This is evidence of the fact that the Russian market and its importance are well-recognized in the sphere of digital economy. Moscow became the eighth city in the world (and two of them are in the US) to have SAP localize their platform. This is a strategic step for us. Many companies only produce tools, but we immerse ourselves in the business when developing our technologies, and therefore fully understand the needs of our clients. We see that the Russian market is ready for a wide-scale adoption of the most advanced digital technologies, and therefore want as many Russian clients as possible to use them. Up until this point, all of these services were located outside the country, and were therefore only available from foreign centers. This created a lot of issues, including problems with respect to compliance with the law on personal data security. For SAP, this is another step toward creating an ecosystem of innovation. It gives us the ability to give our clients (developers, partners, startups) a foundation for creating their own unique solutions. Instead of creating products from scratch, they get the opportunity to make the most with minimal investments, creating quick and flexible solutions that utilize pre-made services. Could you tell us about the establishment of an SAP innovation center in Moscow? What kinds of projects will it be involved in? The SAP Digital Leadership Center will open this summer. Moscow will become the second city (after NYC) to house an innovation center like this. Our company is investing several million dollars in this project, and we’re interested in creating something more than a shiny display case to show off our products. We want to establish a real innovation hub. The center will be located on an area of almost two thousand square meters. It will take up two floors, which will be split up into several spaces: an exhibition area for joint solutions created by SAP and our partners, an area for meetings and negotiations, an area for coworking and startups where we’ll be able to hold brainstorming and design-thinking sessions with our clients and partners, an SAP Leonardo area with innovative scenarios, and an area for hosting lectures, conferences, and other events. We’re thinking about housing a number of joint innovation labs with our clients inside the center. And by the way, our innovation centers will have spaces where people can learn about smart city systems in detail. As digital technology becomes more widespread, we become more dependent on these solutions and therefore more vulnerable. How can we strike a reasonable balance between free access to these tools and security requirements? The expansion and personalization of digital services inevitably increases risks, especially since cybercrime is on the rise, sometimes even outpacing the ability of experts to find timely security solutions. Speaking from personal experience as someone who worked in the sphere of data security, I can say that we can definitely give up our hopes for full protection and privacy in the digital economy era. You can’t close yourself off from a world that we’re all, in one way or another, plugged into via rapidly expanding global communication networks. But digital technologies and regulatory practices must be created in a way that at the very least lets people know what’s happening to their information, who is using it and for what purpose. Europe recently adopted the General Data Protection Regulation (GDPR), which clearly states that people need to be informed about what’s happening to their personal data and have the opportunity to take part in regulating this process. Much like in the sphere of physical security, government plays a determining role in the sphere of digital security. The authorities have the obligation to establish requirements for data protection processes, introduce relevant standards, and ensure compliance with these standards. But! – and this is an important point – the government must not interfere in the development of specific security measures. Otherwise, there is a danger of lobbyism and corruption. Digital platform developers share some responsibility here as well. Not all of them fully realize this, rushing to introduce a product into the market in a chase for commercial success without ensuring that security measures are properly established and well-tested. Authorized services should be making sure that these products don’t make it to the market, much like this is done with food quality control for products in stores. Our company addresses issues of security through a separate line of SAP GRC products, which contain various components for detecting access from unauthorized devices, compliance with regulatory requirements, and so on. We take an active part in the development of security roadmaps, including within the scope of the Digital Economy of the Russian Federation” program. There can be no compromises when it comes to implementing security mechanisms. The Moscow government is a good example of this. In our opinion, their actions have been competent and professional. How qualified would you say Russian experts working on digital economy projects are? What kinds of educational and training programs does SAP offer? Today, the main issue is not how qualified the specialists are, but rather the number of available specialists. Training programs are growing more slowly than the economy itself, and the pace of training for specialists don’t match business needs. This isn’t a problem that’s limited to Russia. Research shows that most companies all over the world have noted their employees lack special digital skills. It’s impossible to teach all of this on student campuses, and it’s not a key objective for universities. The most important thing is to establish a foundation. In this case, that foundation is mathematics, especially in applied disciplines such as mathematical statistics, probability theory, and game theory. A young professional equipped with this kind of knowledge will definitely find their way in the digital economy. Russia has an advantage in this respect – great math programs, and well-developed information security and microelectronics fields. But skills quickly become outdated in the digital era, so education must be continuous. We pay special attention to this issue, which is why we opened SAP Next-Gen Lab innovation centers at universities. This is an excellent platform for project-based training, where every participant can work in groups or even launch their own startup with the help of SAP Market Place (a catalog of apps developed based on the SAP platform). These labs host hackathons and InnoJams, which are more than just competitions. They entail working with teams and interacting with experts. This is an opportunity to implement social lift mechanisms. This year, we made the decision to launch a totally new SAP Young Professionals Program. For one year, a group of young professionals (students or recent graduates) will be learning with support from SAP experts and partner representatives. Then, they will join teams working on projects with the most potential on the market. The selection process took place across several leading Russian universities, and once of the main stages is taking place in Moscow.